There is more and more evidence that some dinosaurs were feathered, including the Tyrannosaurus Rex! 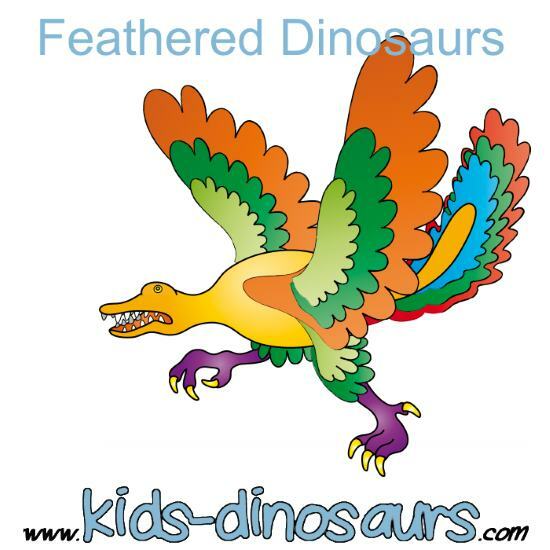 Find out all about the different feathered dinosaurs that we know about. 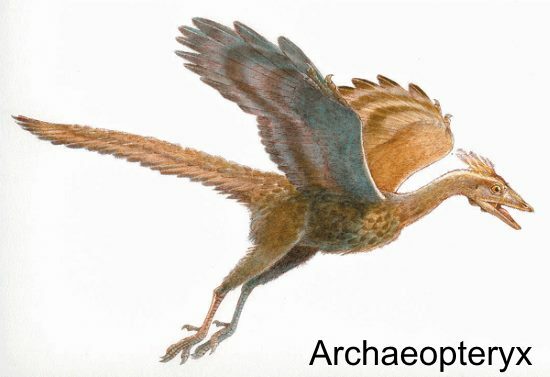 The first hint that dinosaurs may have been feathered came from fossils of Archaeopteryx. Archaeopteryx is a species believed to be between dinosaurs and modern day birds. Its name means 'original bird'. Most of the 11 fossils found show feathers. It is not known if it glided, or flapped its wings to fly. 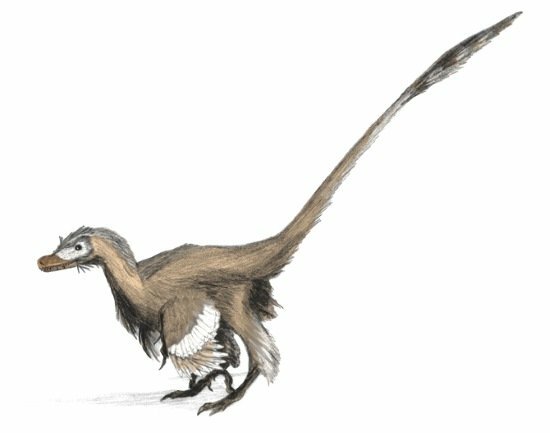 But it gave an important clue that dinosaurs may have had feathers too. In the 1990's lots of fossils were found in Liaoning, China, including a number of feathered dinosaur fossils. 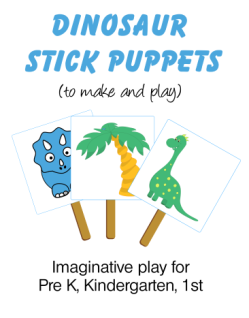 Today we have evidence that many dinosaurs were feathered, including the Velociraptor. Although they were feathered, this does not mean they were flying dinosaurs. We are not sure what the feathers were for. Scientist can think of several uses for them, including keeping the dinosaurs warm or helping to streamline their running. Many believe that the feathers were brightly colored and used for mating displays. Most of the feathered dinosaurs belong to a sub-group of the dinosaur classification Theropod, called Coelurosauria. This contains dinosaurs closely related to birds. Most feathered dinosaurs discovered so far have been in this group. Birds of today evolved from dinosaurs. A 9 meter long dinosaur called Yutyrannus (meaning feathered tyrant) is the largest known dinosaur fossil discovered to show having feathers. 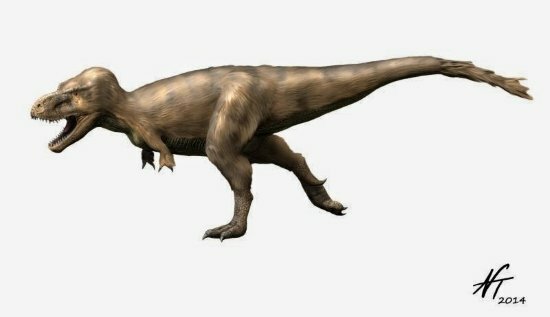 This dinosaur has a tyrannosauroid dinosaur classification, the same as T. Rex. So there is now more evidence that perhaps, yes, Tyrannosaurus Rex did have feathers! This drawing is by Nobu Tamura, showing how T. Rex may have looked given the new evidence we now have about it.